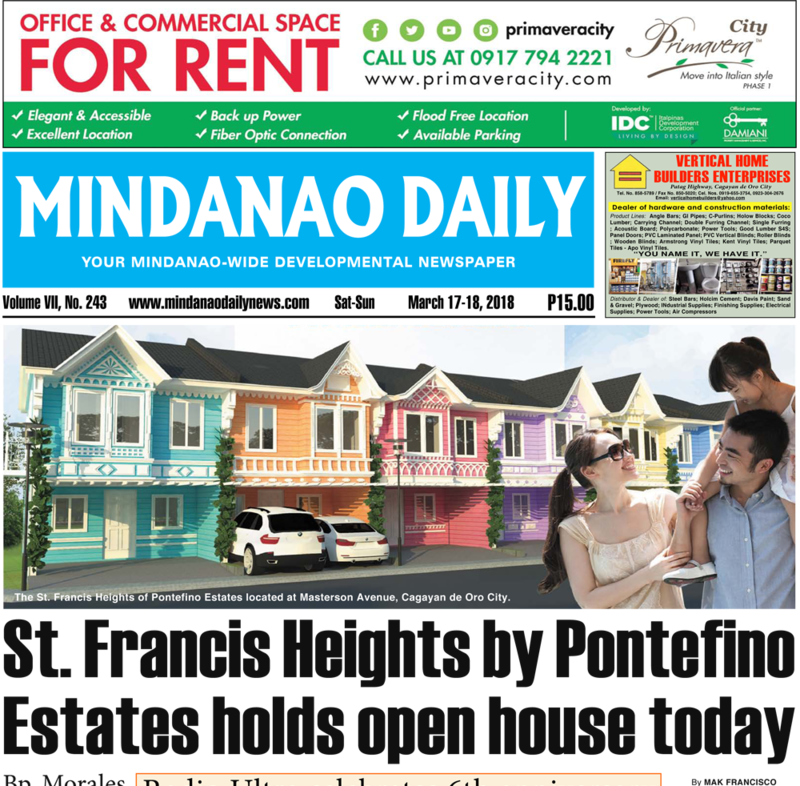 St. Francis Heights by Pontefino Estates holds open house today featured in Mindanao Daily News. Aside from the completely furbished model unit, guests can take a glimpse of the fully-constructed interiors of some of the 305 units, each with its own unique color and design. Conveniently situated along Masterson Avenue, St. Francis Heights’ prime and strategic location at an elevation of 100 meters above sea level is close to the financial and commercial district uptown, including proximity to Xavier University High School and SM City Cagayan de Oro. “It is also envisioned to add sophistication and character to the lifestyle of the Cagayanons,” said Fino Land Inc. general manager Voltaire Antonio Flores. Fino Land is the developer of Pontefino Estates.